One Friday last December, I had a dinner date with Michy of (i am) www.dekaphobe.com. 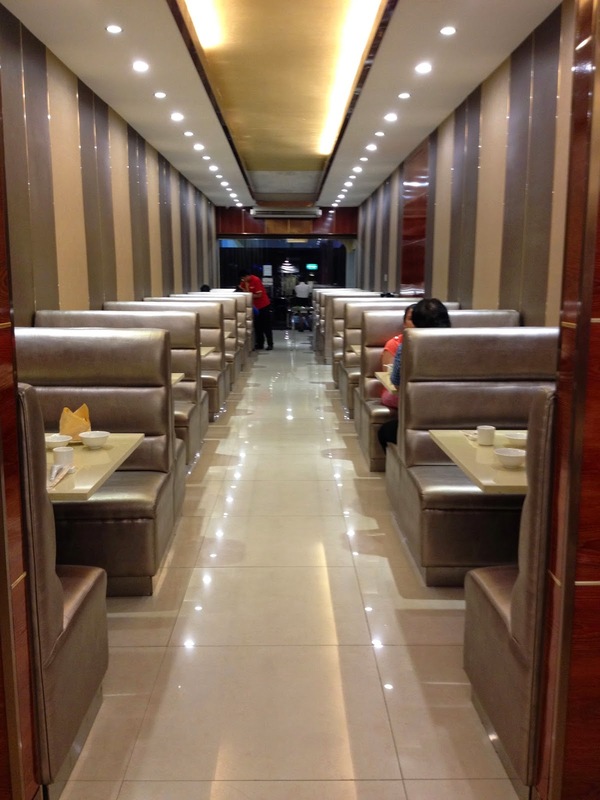 She invited me to try out Oriental Palace in Tomas Morato. We had an evening filled with great good, endless stories and so much laughter. I didn't want it to end, to be honest - I enjoyed the food and the wonderful conversation with Michy, Tadene and Cherie. Oriental Palace is where City Best used to be. It has three entrances - one along Tomas Morato, one along Scout Gandia and one along Scout De Guia. I am more familiar with the entrance in Scout Gandia. From what I remember, the restaurant is HUGE. I mean really huge. I was glad that when I entered - Oriental Palace has changed a few things. Everything now is well lit, plus I like it that they set up the place to accommodate multiple functions at the same time. They've built movable ceiling to floor walls to separate each function privately. (I wasn't able to take pictures but I will update this soon!) The image below is the back view of the entrance along Tomas Morato. According to Tadene, this is the Shabu-Shabu area. They have plans of making this open 24/7 but it's still in the works. What do you think? 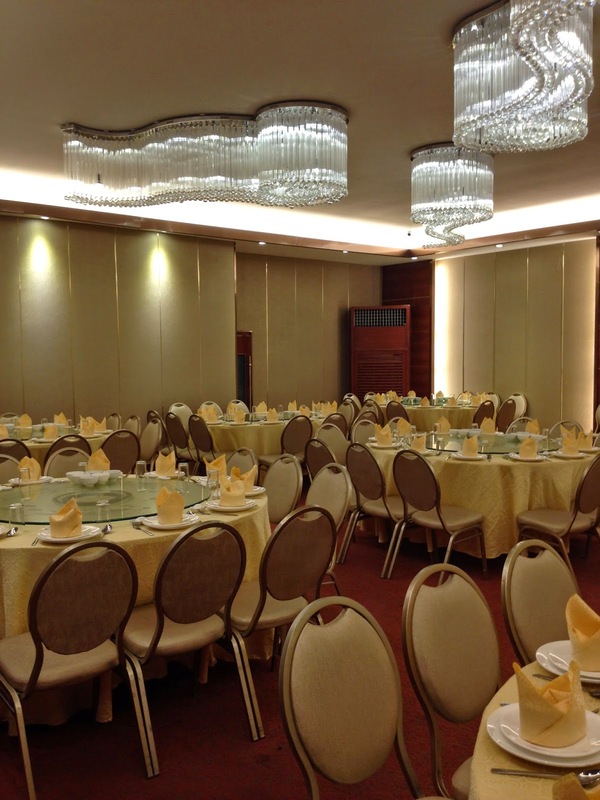 They also have a second floor dining area, but this is used for special functions like company parties, engagements, birthday parties or even a small wedding! I like that they also fancied up the rooms so it doesn't look so plain. You know what else is in the second floor - the kitchen! Yes! It was my first time to see an actual working Chinese restaurant's kitchen and it was something else! WOW! 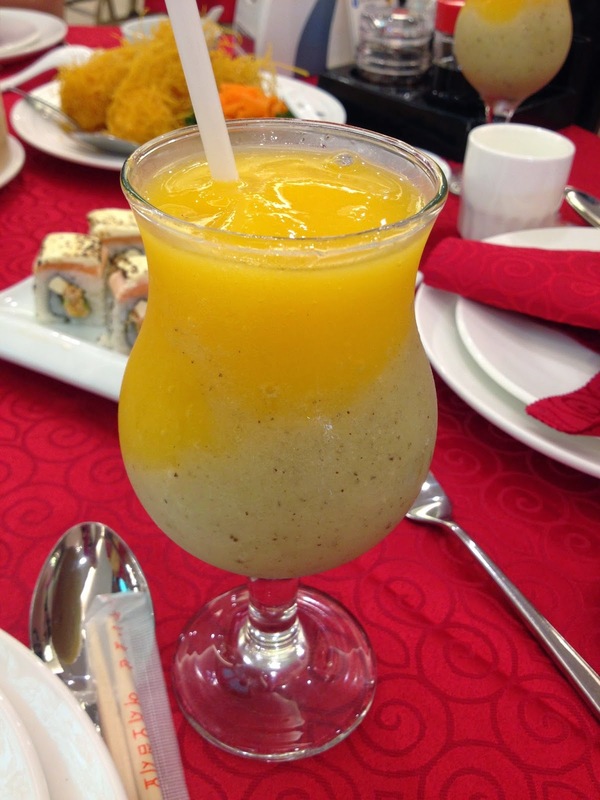 This is the Kiwi Mango Shake, it was so very refreshing that I finished it immediately. I was telling Michy, Tadene and Cherie how much I liked it! I honestly didn't think that the combination of kiwi and mango will work - but it did, and it was so good! This is the Dragon Ball! It does remind me of Drazon Ball Z! 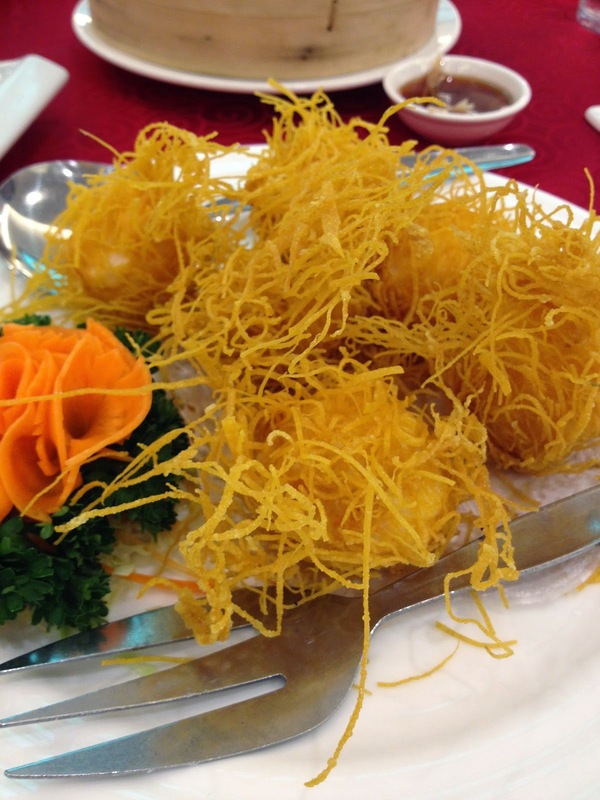 It's actually a shrimp ball but they decided to add some flair and this is what it ends up looking like. It's good and crispy on the outside and yummy in the inside. I'm glad they have this version I don't need to go far away to have this! My in laws will surely like this dish as they love lapu-lapu! Who doesn't love this? 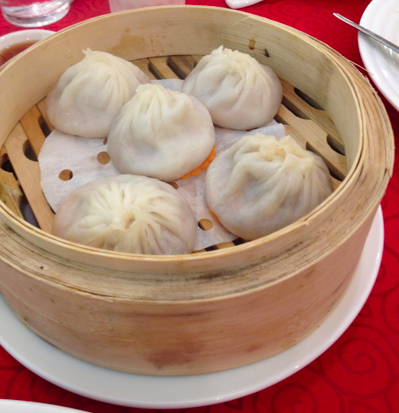 It's tasty, filling and so very Chinese! My kids always look for this when we're at a Chinese restaurant. I'm happy with how this version turned out. This was something different and good! 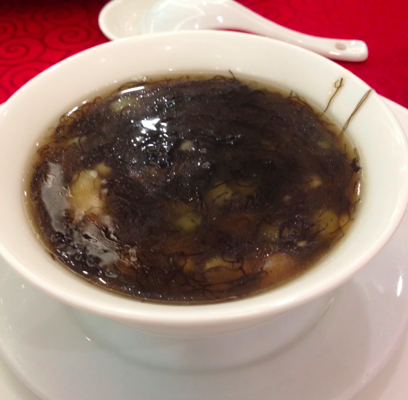 I liked the *hairy* sea moss! The combination was good and very satisfying. Oriental Palace also serves Japanese-que food! 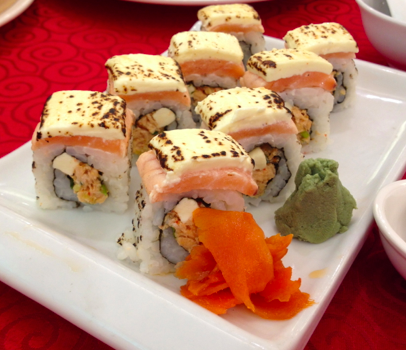 They have those rolls, makis and Japanese fried rice! For those who enjoy cream cheese - you need to try this!! I failed to take pictures of the crab, the bacon roll and the Japanese fried rice! But I assure you they were all good! I looooooved the fried rice! 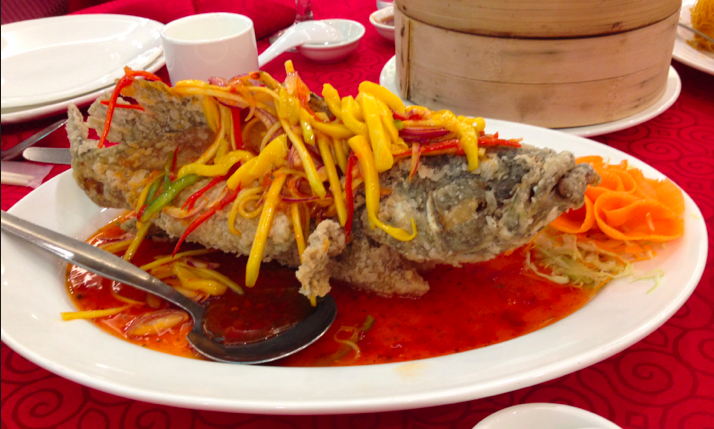 Do visit Oriental Palace as this is the *only* authentic Chinese cuisine in the area! I have been waiting for one to open up in the area. I'm sure you'll find something that you'd like. Maybe you'll discover a new favorite dish specially made by their Hong Kong Chefs or what do you know, you may request something on the spot!